If your Award is the result of a joint effort between offices or departments, then a single trophy may not be sufficient. Exact replicas of your trophy can be ordered to ensure that all parties involved are duly recognised. 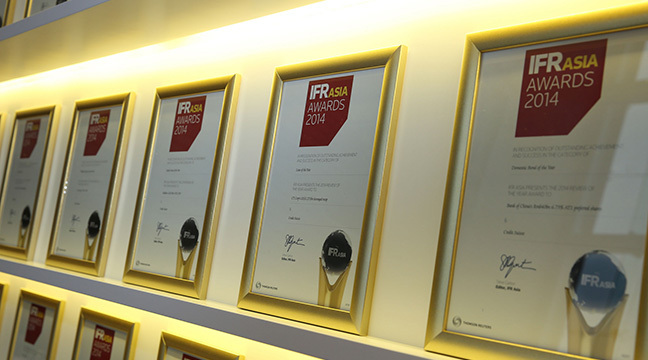 An IFR Asia Award is always the result of a team effort, so why not recognise each individual’s contribution by ordering extra copies of the certificate you collected on the night? Certificates can be supplied as framed or unframed. 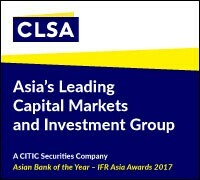 A high-quality reproduction of your company’s write-up in the IFR Asia Review of the Year makes a valuable addition to your marketing collateral, drawing people’s attention to your achievements and backing-up your message with the most authoritative and respected endorsement in the industry. We’ll reprint your article for distribution to your clients – as many or as few as you require – and tailor the design to suit your promotional needs. Or we can produce a personalised booklet; ideal if you’ve won more than one Award or if you’d like to include your company’s advert, contact details or editorial. Some articles in the Review of the Year are illustrated with cartoons containing caricatures of the key players from an Award-winning company. These can be reprinted to create unique souvenirs of your achievement, and can be supplied as framed or unframed. For more information, contact our Reprints Team. © 1992-2019. All rights reserved.